When the Second World War began on 3 September 1939, Nigel Balchin was very little known to the British public and it is not too much of a stretch to say that he enjoyed greater prestige and recognition as a radio broadcaster than he did as a writer. He had received some good reviews for his first three novels but his name would only have been known to the most ardent followers of the English literary scene. Balchin’s relative invisibility as a writer when war was declared was not helped by the fact that, of the seven books he had written up until this point, three had been published under the pseudonym ‘Mark Spade’, a deliberate tactic on the part of the author to avoid offending the bosses who were paying the wages that granted him the freedom to write books in his spare time. Although Balchin had also produced a lot of journalism during the 1930s, many of his pieces had been tucked away in obscure technical magazines or scientific journals and the great majority of them had been unattributed. As can therefore readily be appreciated, Balchin was just a tiny, insignificant blip on the literary radar screen of the average British reader when the war broke out. By the beginning of 1944, Balchin had decisively turned his writing fortunes around and had begun to receive glowing praise from the nation’s literary critics, many of whom, such as L. P. Hartley and Elizabeth Bowen, possessed considerable reputations as novelists themselves. How had Balchin succeeded in effecting such a transformation? A simple four-word answer will suffice for now—“It was the war”—although as we shall see later the real explanation is slightly more subtle. Some of Britain’s best-known writers found that the global conflict, and especially that element of it represented by the nightly bombing raids during the London Blitz of 1940–1, made the creation of novels difficult, if not impossible. George Orwell for example lamented in 1940 that “I just can’t write with this kind of thing going on” and many of his contemporaries appear to have been of the same opinion. Balchin was different: whereas other wordsmiths found that the war led to a period of stagnation in their work, it galvanized him like never before. Balchin considered that the war had been good for his writing because it had created a “great emotional pressure” as well as providing him with “a real impulse to write, a burning need to say something”. 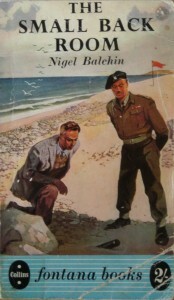 Unlike certain of his fellow writers who were on active service overseas, Balchin was employed a long way from the front line during World War Two. He was thus able to gather much of the material he required to make his breakthrough as a novelist from the comfort of a London office, a far safer environment than the body of a tank or the gun turret of a heavy bomber. Having stripped away the superfluous matter that had hampered his earlier work, Balchin now introduced a more concise and direct style of writing, as exemplified by the terse opening sentence of Darkness Falls From the Air (“I stopped at about seven.”). Some reviewers likened Balchin’s clipped new style to that of Hemingway; this is odd because, as Clive James has astutely pointed out, “Balchin nowhere sounded very much like Hemingway” and it does him a marked disservice to compare his unique style to that of anyone else. Where did Balchin obtain the material he needed to write his three wartime novels? This is a question that will be addressed in much greater detail in my forthcoming biography but for now I can quickly identify the most likely sources. Balchin spent the first year of the war working for the Manufacturing Confectioners Alliance, a body that controlled the cocoa, chocolate and sugar confectionery manufacturing industry. In this capacity he was responsible for allocating raw materials such as cocoa and sugar to chocolatiers such as his erstwhile employer Rowntree’s and was brought into contact with the Ministry of Food in consequence. This was followed by a year at Colwyn Bay in North Wales during which he performed an almost identical role, only this time he was working for the Ministry of Food itself. As his wife Elisabeth also worked for the Ministry of Supply for 18 months in the early 1940s, Balchin was very well acquainted with governmental bureaucracy and ministerial bungling. 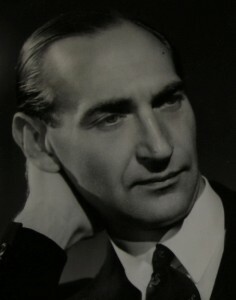 The personal side of Darkness Falls From the Air, as represented by Marcia’s affair with Stephen, is partly based on Elisabeth’s fling with the composer Christian Darnton during the first few months of the Second World War. Despite seeming to possess considerable filmic potential, Darkness Falls From the Air has never been adapted for either small or large screen, unlike most of Balchin’s best-selling books of the 1940s and 1950s. The book was adapted for radio by Balchin’s son-in-law John Hopkins in the 1960s, but that version never made it onto the air. Given British television’s current love affair with World War Two dramas, it would be surprising if someone didn’t think of trying to adapt Darkness Falls From the Air for the medium within the next couple of years. In Balchin’s opinion, scientists were treated deplorably during World War Two and this is the central theme of the book. The author left the Ministry of Food in 1941 and joined the army, working firstly in personnel selection and later as part of the service’s scientific research arm, a role that helped him to ascend the army ladder as far as Deputy Scientific Adviser to the Army Council. Balchin was of course a scientist himself, came into contact with psychologists and psychiatrists as part of his war work and knew how they were treated both in the military and by government. It is much tougher to elucidate precisely where Balchin obtained the material he required to write this novel about a psycho-analyst’s routine. He certainly had no direct experience of the psycho-analytical profession himself but I believe he picked up sufficient information to enable him to write the book from talking to psychiatrists he had worked alongside in the army during the middle years of the war. All three of Balchin’s wartime novels are terrifically exciting stories, recited with verve and authority, and they zip along with tremendous pace. But I believe that in each of them Balchin introduced one new quality that distinguishes them from the novels that their author had written in the 1930s. With The Small Back Room, Balchin inserted a heart-stopping, thriller-style climax to round off his story, a trick he would later repeat with somewhat diminished impact in Mine Own Executioner, A Sort of Traitors and A Way Through the Wood. The dramatic conclusion to The Small Back Room was highly cinematic, and it made the British film industry sit up and take notice of Balchin as a likely producer of future source material. 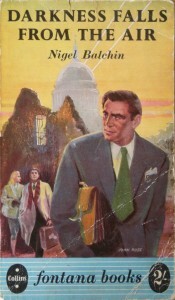 The bomb-disposal strand of The Small Back Room, which provides the novel with its tense climax, may have been inspired by the wartime exploits of Baron Victor Rothschild, who defused explosive devices in his capacity as head of the counter-sabotage section of MI5 during World War Two. In 1944, on the personal recommendation of Winston Churchill, Rothschild was awarded the George Medal after he dismantled a new type of Nazi bomb that had been secreted amongst a cargo of Spanish onions sent to Britain. It is harder to find a distinctive new quality in Mine Own Executioner but Balchin’s command of a larger cast than he had previously assembled for one of his novels (apropos of this book, the poet Henry Reed observed that Balchin “can deal with the utmost ability with a large number of characters”) is one likely candidate and similarly large casts would later be deployed to great effect in books such as A Sort of Traitors and Sundry Creditors. Once the war began, Balchin never again wrote anything else even vaguely like No Sky, Simple Life or Lightbody on Liberty; he had decisively moved on from these apprentice efforts and all his post-war novels have far more in common with his wartime writing than with his books from the 1930s. One contemporary critic has opined that writers such as Balchin who came to prominence during World War Two found that “their pens had stuck in dried blood” after 1945, i.e. they were never as effective as novelists once Britain was no longer at war with Germany. There is some truth in this assertion in Balchin’s case but it does not quite tell the whole story because of course he wrote a plethora of very fine novels after he was demobilized. 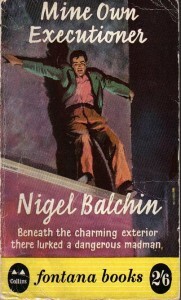 For some years after the war ended, Balchin drew on the experience to inform his fiction: his first three post-war books (Lord, I Was Afraid, The Borgia Testament and A Sort of Traitors) are all concerned to some extent with warlike themes and, as late as 1955, Balchin penned a novel, The Fall of the Sparrow, the greater proportion of which was set during the period 1939–45. So it was not really the absence of a war to write about and to energize him (or indeed the years that had elapsed since VE Day) that damaged his fiction after 1945 because he kept on writing about the conflict for many years after it was over. It was more the fact that Balchin never held down a full-time job again in peacetime and thus he divorced himself from the rich sources of material that had been within his grasp both before and during the war. It is my belief that the quality of his writing was denuded when he did not have fresh, direct experience of what he was writing about to draw on and it is telling that only two of his post-war novels—The Fall of the Sparrow and Seen Dimly Before Dawn—flourish in the absence of a workplace setting. Ultimately therefore it was not perhaps the war per se that made Balchin’s name as a writer but instead the unusual and intriguing subject matter that was presented to him as he carried out his war work, and which he then wove so expertly into a trio of compelling novels. Balchin makes a very brief, blink-and-you-will-miss-it cameo appearance in the film of Mine Own Executioner that he scripted for London Films in 1947. He appears about half an hour into the film as a guest at a party given by Barbara Edge and her husband Peter that the psychiatrist Felix Milne attends. Balchin utters a mere five words to his host—“Thank you sir, very much”—before exiting the scene. Not too much to report this time. Since my last dispatch on the subject, I have been working very hard to lick the manuscript into shape and prepare it for publication. I am now about two-thirds of the way through this Herculean endeavour and although I still have a sizeable quantity of work ahead of me I am satisfied with the progress I have made so far. What is beginning to emerge is a much shorter, more coherent and more tightly focused manuscript that should be more enjoyable (and less time-consuming!) to read than my earlier drafts. I hope to have everything finished by the time I write the next edition of this newsletter in February.